The line of versatile motorized bicycles from Motoped will likely appeal to anyone interested in all forms of motorized transportation. 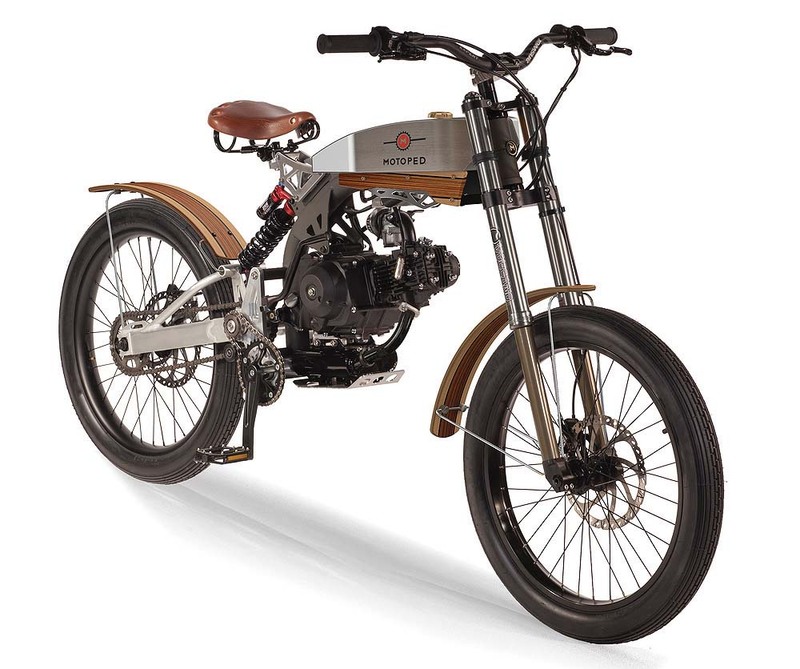 The company’s bikes are designed for street and trail use and are light enough that even a small gas engine (49-125 c.c.) will provide sufficient power to take you just about anywhere. The three different Motoped models are the Pro, Cruiser and Survival. Each can be purchased fully assembled, including engine, or in basic kit form where you add your own propulsion. Prices range from $2,300 to $3,600, plus destination charges. See the selection at www.motoped.com.